THE GOG BLOG by RORY SPEARS. Director of Content and Creation. Follow Rory on Twitter @GogBlogGuy, Linkedin and Facebook. In the Mistwood Golf Club Performance Center. GOLF IS A GREAT SPORT, millions of people play the game. Plenty of golfers up north are looking to put a very cold winter behind them. The thought is of getting outside and playing golf to many, is like going to opening day in baseball. It’s more than just Game 1 of 162, it’s the start of summer. The same can be said for golf, that first round of the year, makes it feel like spring or summer has arrived. There are plenty of golfers who love the game, and just can’t wait to go play. They don’t need any encouragement, other than no snow on the ground, some sunshine and warmer temperatures. Plain and simple. Golfers don’t head for the course in droves, because somebody won a tournament. It doesn’t work that way. When you go out and say otherwise, and or post that on a social media network you insult a lot of people. If I’m an owner, a golf professional, a marketing director, a staff member or superintendent, and the director of golf or head professional claims they only have a crowded course because of the Masters winner. You just drove one in the face of everyone you work for, and or works for you. So think before you post, and believe in your product. If you don’t, it’s time to go work somewhere else. The WARM and sunny weather all weekend long, felt really good, and let’s hope it stays for a while. 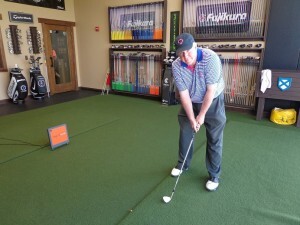 CLUB FITTING…I have talked about it all winter. Because it’s really the best way to decide what clubs should be in your golf bag. So today, I will go through a fitting to determine what I need in terms of a new driver, fairway woods and irons. So i’m having two friends who need new clubs tag along, and work through fittings of their own. If you think this is the year to lower your handicap, hit the ball a little further because you need to, then get to a club fitting now. Why spend the summer watching your handicap rise, continue to miss fairways, greens and putts. Are you the one filling up your partners wallets, after the weekly round every weekend. Are you the “D” player on your 4-player scramble team all the time. Do you have to buy the drinks all the time. How about having the joy of seeing a ripped drive go right down the fairway, because it is a great feeling. See that lofted mid-iron shot hit the green and from over 130 yards. Those wedge shots get out of the rough and the bunkers, so they land on the green. My group and I are headed to Mistwood Golf Club to get it right. I’ll have more on my club fitting process on this site, and on Golfers on Golf Radio in the weeks ahead. The University of Illinois Men’s golf team was second, behind the host Hawkeye’s, at the Hawkeye Invitational this past weekend. Six shots behind Iowa. 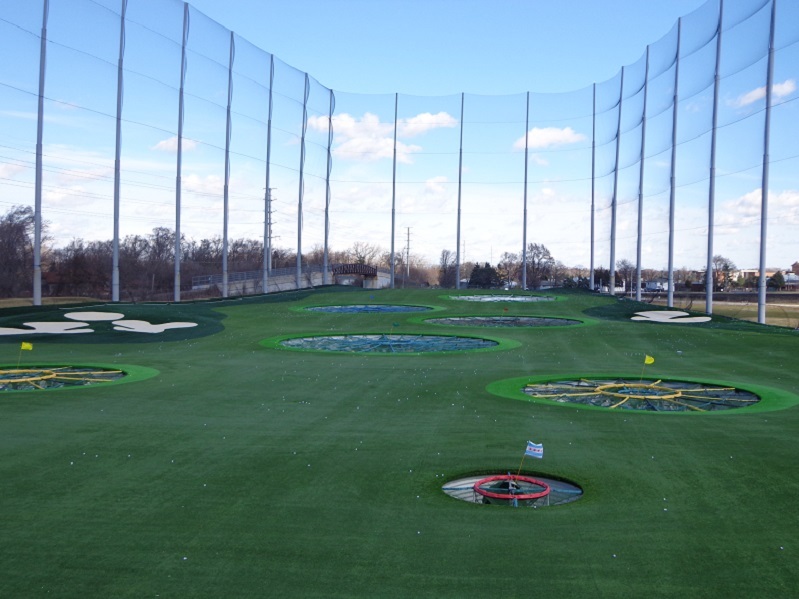 TOPGOLF has now opened it’s 50th venue, with the opening of the newest Topgolf in Greensville, South Carolina. THE GOG BLOG by RORY SPEARS, Director of Content and Creation. Follow Rory on Twitter @GogBlogGuy Linkedin and Facebook. On the 18th green at Harbor Town-design by Pete Dye and the #GOAT Jack Nicklaus. 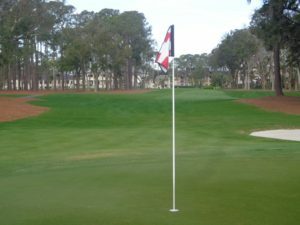 Tune is this afternoon to see the final round of the RBC Heritage tournament at Sea Pines Resort, on Hilton Head Island in South Carolina. The championship can be seen on CBS. The PGA Tour moves on to New Orleans this coming week. ARE YOU READY for the summer scramble championship. The CDGA Scramble Championship sponsored by Jersey Mike’s Sub’s starts on June 7th, and runs through September 13th. You can register at CDGA.org/scramble. Cost per team is $300, or $75 per player. Prizes will be awarded on September 13th at Bowes Creek in Elgin at the tournament finals. Prizes include a trip to Tullymore Resort in Michigan. PINE MEADOW GOLF CLUB in Mundelein will host a Taylor Made Golf fitting day on Saturday May 11th, from 10-2. For information on signing up for a personalized fitting appointment, visit Pine Meadows website and follow the link. You can call Pine Meadow at (847)-566-GOLF. 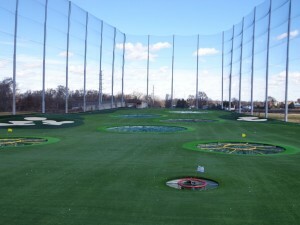 TOPGOLF is encouraging everyone to “Take a Swing at Golf”, on National Golf Day on May 1st. 50 U.S. Topgolf venues will offer complimentary group golf instruction classes Wednesday May 1st. 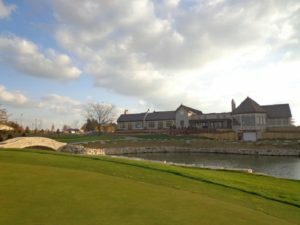 Topgolf is partnering with WE ARE GOLF. These classes will take place at 4:30-5:30 and 6:30 P.m., last year Topgolf gave out more than 4,300 free golf lessons on National Golf Day. For more information you can visit Topgolf.com/lessons or learn more on Topgolf social media sites. 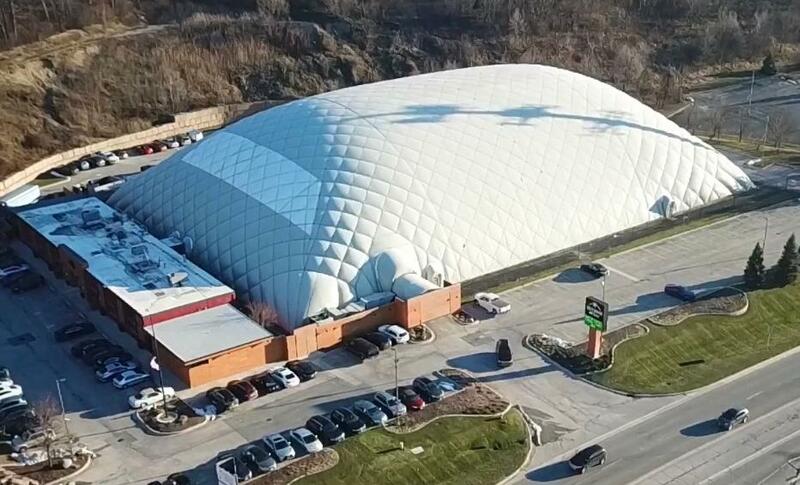 Topgolf will open a new Chicago area location later this summer in Schaumburg, on the location of the former Motorola Campus. 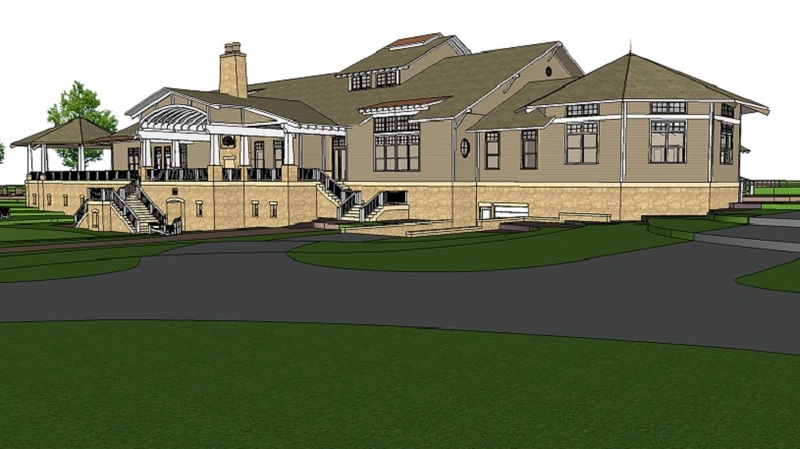 The future drawing of the new Finkbine Clubhouse for the University of Iowa. The University of Iowa shot a 36 hole score of 29 under par, to lead the Hawkeye Invitational by three shots over Illinois. The Fighting Illini now ranked 30th in the nation, were lead by Varun Chopra whose 36 hole score was 8 under par. The Hawkeye Invitational will conclude today, after another 18 holes are played on the schools Finkbine Golf Course in Iowa City. The field includes four other Big Ten teams in addition to Iowa and Illinois. THE JOHN DEERE CLASSIC has announced that Korean native Ho Sung Choi, with the fisherman style golf swing has accepted a sponsors exemption to play in the classic this July 11-14. Choi 45, has won four times around the globe, including the 2018 Casio World Open on the Japan Golf Tour. This will be Choi’s second event in the United States.Choi recently played in the AT&T Pro-am at Pebble Beach. For more information or to purchase tickets for this years tournament. Visit Johndeereclassic.com. KUDO’s to former Chicago tackle Jim (Jimbo) Covert on winning the Hootie and Blowfish Monday after the Masters charity golf tournament. The team was captained by PGA Tour player Billy Hurley. THE STRACKA LINE celebrates 10 years of growth and Innovation. What was first a new product idea at the PGA merchandise Show in 2007, has grown into being part of PGA Tour telecasts in 2019. The USGA approved the books earlier this year, 11 years after making a debut on the PGA Tour. The Stracka Line book was created when owner Jim Stracka bought out yardage book founder “Gorjus” George Lucas. For more details on Stracka Books visit Strackaline.com. THE GOLF COURSES OF KOHLER are now open for the 2019 Golf Season. The original Blackwolf Run design and the Irish Course are also now available to golfers for only $80.00. Call (844)-338-8518. Golfers on Golf Radio (L-R) Ed Stevenson, Bill Berger and Rory Spears. In studio at the BIG AM 750 WNDZ Saturday mornings at 10 AM. Golfers on Golf Radio Week #4 is back on the tee this morning at 10 AM, on the BIG AM 750 WNDZ Chicago. Ed Stevenson, Bill Berger and Rory Spears will bring you the best of golf talk on Chicago’s radio dial from 10-11 am. Among our topics today, a tribute to sports talk radio pioneer Chet Coppeck. 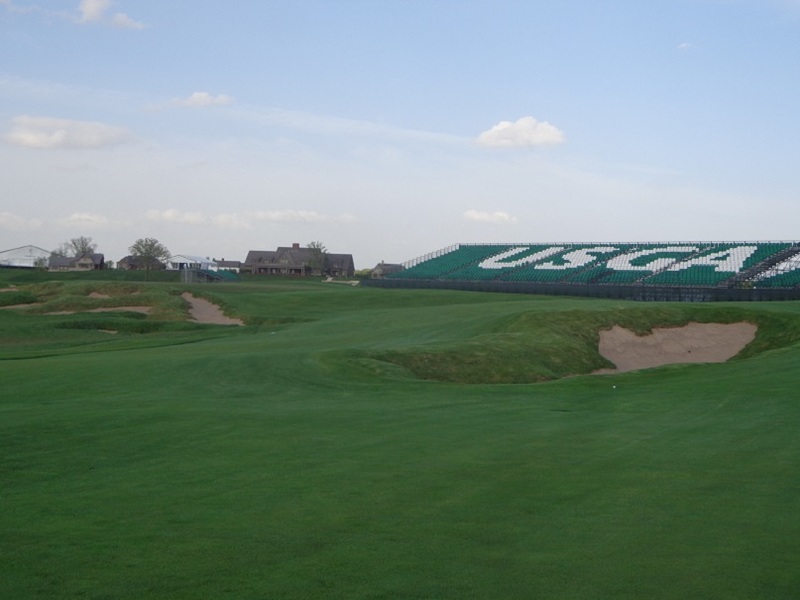 The USGA is returning to Erin Hills, find out when and with what championships. This weeks PGA Tour stop takes us to one of the best resorts in the country, Sea Pines on Hilton Head Island in South Carolina. 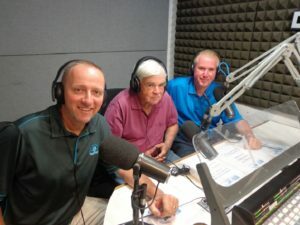 Our guests include Rich Tock from Erin Hills and Cary Corbitt of Sea Pines will join us today. So stay tuned in. Am 750 WNDZ 10 Am this morning. It’s GOG Radio Week #4. THE GOG BLOG by RORY SPEARS. Director of Content and Creation for Golfers on Golf. Follow Rory on Twitter @GogBlogGuy Linkedin and Facebook. 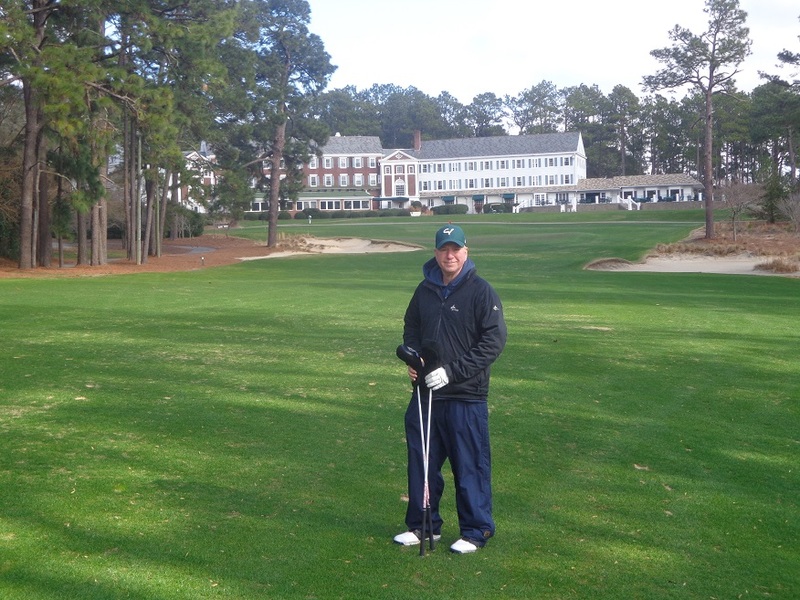 At Mid Pines Golf Resort in Southern Pines North Carolina. THE U.S. SENIOR WOMEN’S OPEN is getting ready for it’s second meeting. After an extremely successful inaugural championship, round 2 tee’s off next month in Southern Pines North Carolina. 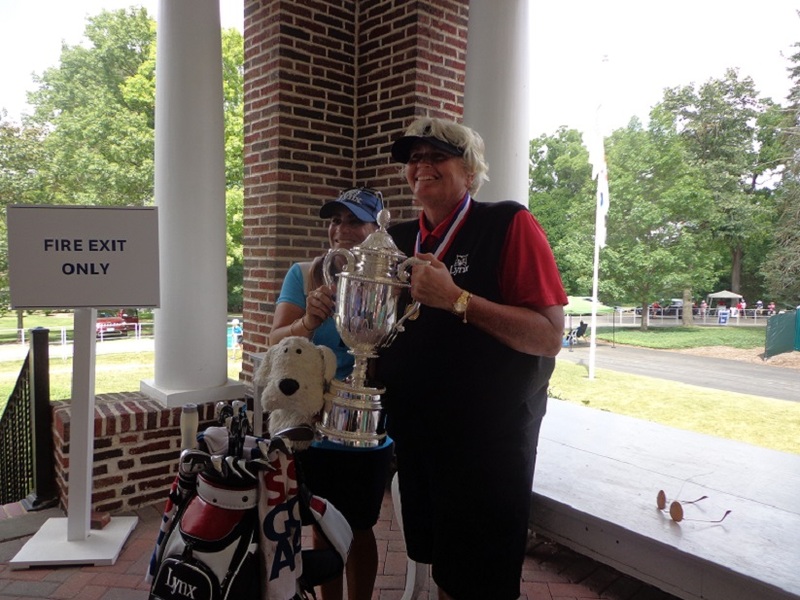 Laura Davies is on a roll when it comes to winning senior majors. She took the senior slam or half slam, since there are only two senior women’s majors in 2018. Davies wasn’t to upset about getting only 10 months, with the newest of USGA trophies after winning at the Chicago Golf Club last July. Laura Davies with the trophy at the Chicago Golf Club. 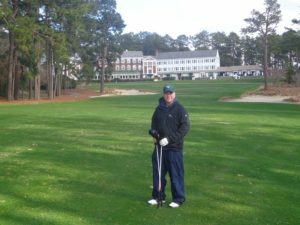 With this years edition of the U.S. Sr. Women’s Open hitting the first tee next month, at Peggy Kirk Bells Pine Needles Resort, Davies feels she can correct that shortfall be simply winning again. If she does, she will keep the trophy for 14 months this time, as the 2020 version of the senior women’s open moves back up north and into July. With the first championship into the history books, what did the USGA learn from the experience last summer in Wheaton at Chicago Golf. What changes for this year, what stays the same. JoAnne Carner (L) at the Chicago Golf Club with USGA PR manager Julia Pine. One of the more exciting moments of that first championship, was watching JoAnne Carner hit the first tee shot. Carner then shot her age of 79 in the first round, by making a birdie on the par 5,18th hole. Can that moment be repeated ? It could be, as Carner will have another shot to play with, since recently turning 80. Because Carner is returning to play in the championship again this year. If there is one disappointment, it’s that Bell herself is not here to witness the championship. After passing away a couple of years ago. When told her course would hold the championship, she requested her staff speak with USGA CEO and Executive Director Mike Davis. And see if Davis would add a super-senior division in the championship. If Davis would do that, she would dust off her clubs and come out and play. Nobody who knew Bell, doubts that she would have done just that. 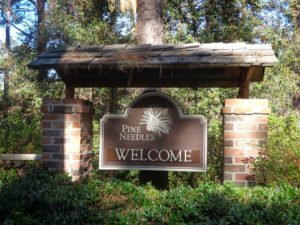 WELCOME TO PINE NEEDLES home of the 2019 U.S. Sr. Women’s Open, and now the 2023 U.S. Women’s Open. 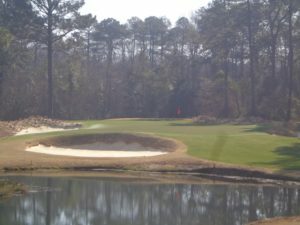 The par 3, third hole on the Pine Needles Course. 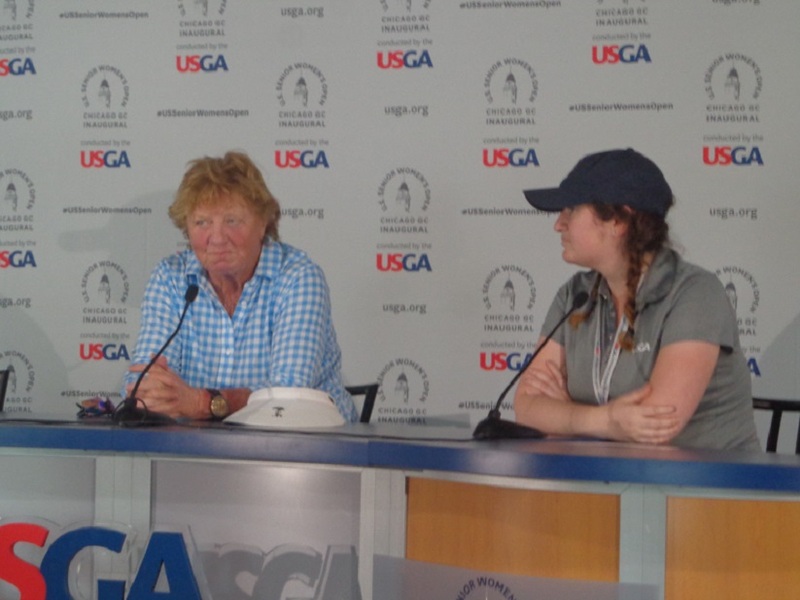 Click here to hear our interview with USGA championship manager of the U.S. Senior Women’s Open Katherine Thigpen. 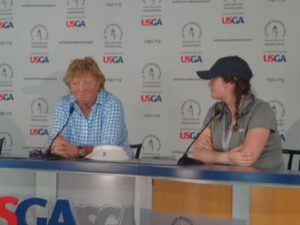 Thigpen talks about the first year at the Chicago Golf Club, what to expect this year in year two, the return of 80 year old JoAnne Carner, on media day with Laura Davies who is ready to win again. 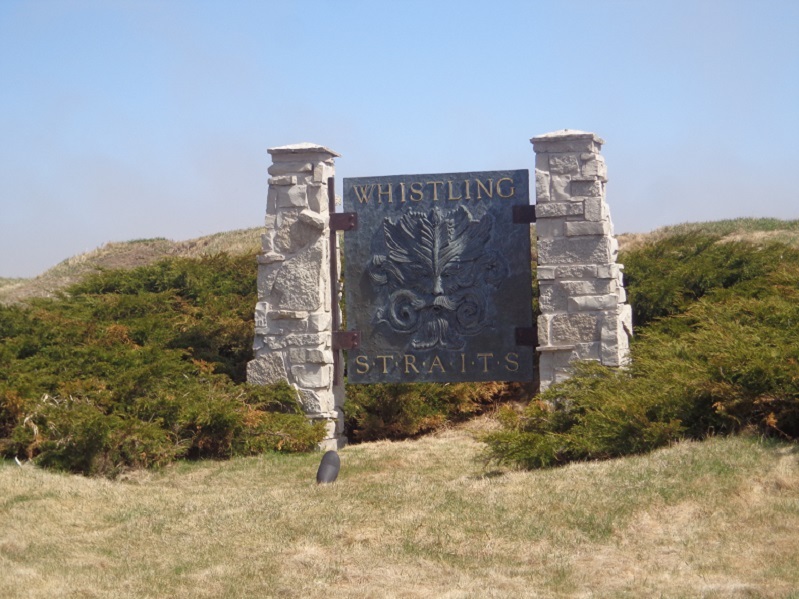 Where is the 2020 U.S. Senior Women’s Open being played, find out where. Tickets are now on sale for both the U.S Sr. Women’s Open, and the U.S. 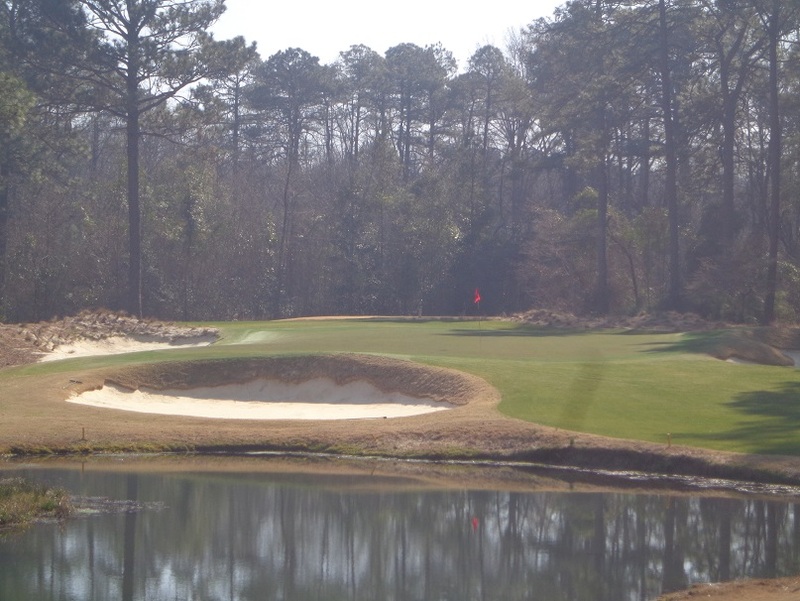 Amateur Championship that will be played on Pinehurst #2 and Pinehurst #4 in August. For more information on the U.S Senior Women’s Open, please visit USGA.org or visit the Pine Needles and Mid Pines resort website. THE GOG BLOG by RORY SPEARS, Director of Content and Creation. Follow Rory on Twitter @GogBlogGuy, Facebook and Linkedin. At the front door of Erin Hills with the USGA. THE USGA IS COMING BACK TO ERIN HILLS. What had been rumored is now official. The 2022 USGA Mid-Amateur and the 2025 U.S. Women’s Open will be played at Erin Hills in Erin Wisconsin. 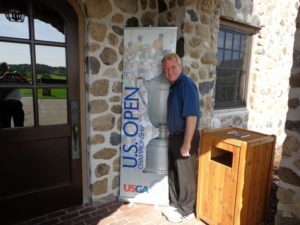 The championships will be the fourth and fifth USGA championships, played in Kettle Moraine country of Wisconsin. Located in the far Northwest suburbs of Milwaukee. 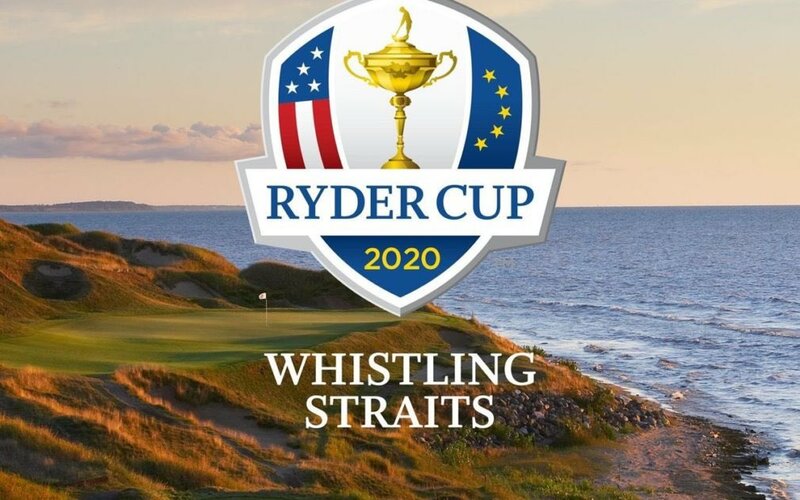 The 2025 U.S. Women’s Open will be played from May 29-June 1, and the 2022 Mid-Amateur Championship is held from September 10-15. Blue Mound Country Club which co-hosted the 2011 USGA Amateur Championship with Erin Hills, serves as the second course for the Mid-Amateur. THE US WOMEN’S OPEN TROPHY (L) AND THE US MID AMATEUR TROPHY (R) photo courtesy of USGA. 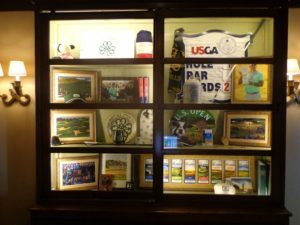 The 2017 US Open Championship memorabilia case at Erin Hills. Erin Hills was designed by Dr. Michael Hurdzan, Dana Fry and Ron Whitten of Golf Digest magazine. The golf course opened for play in 2006, and was renovated twice, most recently in 2010. 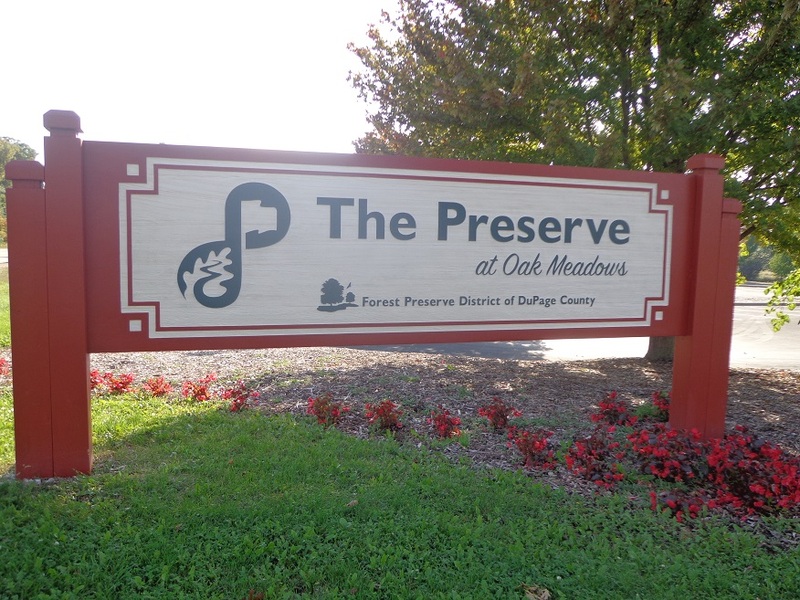 Since 2010 the club has built a new clubhouse, and added several cabins for overnight guest stays. Past winners of USGA Championships at Erin Hills include, Tiffany Joh in the Women’s Public Links (2008), Kelly Kraft in the U.S. Amateur (2011), and Brooks Koepka in the U.S Open (2017). 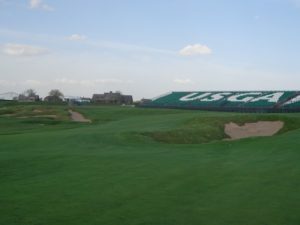 The 18th green and clubhouse at Erin Hill, set up for the 2017 U.S. Open. The 80th U.S. Women’s Open will be the third U.S. Women’s Open to be played in Wisconsin. 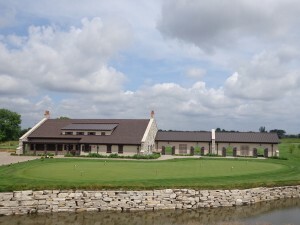 The 1998 and the 2010 U.S Women’s Opens were played at the Blackwolf Run course in Kohler. The championships were won by Se Ri Pak in 1998 and Na Yeon Choi in 2012. 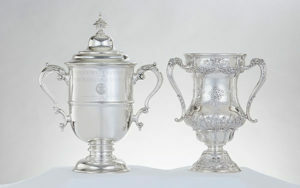 These will be the 16th and 17th USGA Championships played in Wisconsin. The 15th championship will be played this July 22-27, in Stevens Point Wisconsin on the Sentry World golf course. 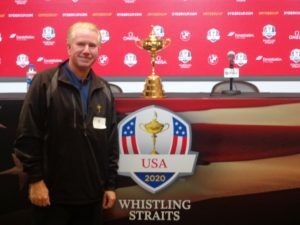 Click here to hear the interview with Erin Hills PGA Ambassador Rich Tock. 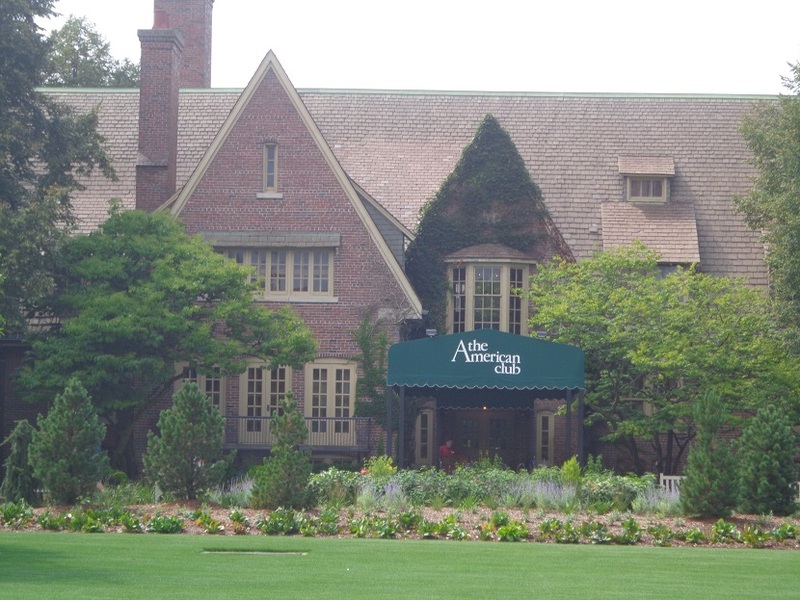 The last USGA Mid-Amateur Championship played in the area was in 2012, at the Conway Farms Golf Club in Lake Forest. Blue Mound Golf Club a Seth Raynor design, has previously hosted the 1916 Western Open, the 1933 PGA Championship, but most recently the 2010 Western Golf Association Junior Championship. 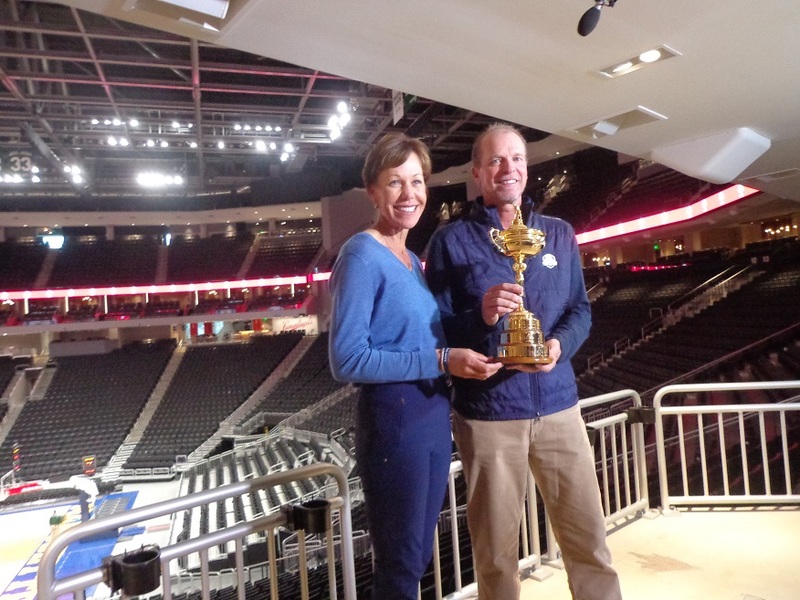 Blue Mound will host the 2020 Junior Ryder Cup. Erin Hills will open for the 2019 golf season on May 6th. The first tee of the course is seeing construction happen today. As work on the nearby new massive putting green continues. Book your golf trip to Erin Hills, by visiting Erinhills.com and then calling (866)-772-4769. THE GOG BLOG by RORY SPEARS, Director of Content and Creation. Follow Rory on Twitter @GogBlogGuy, Linkedin and Facebook. 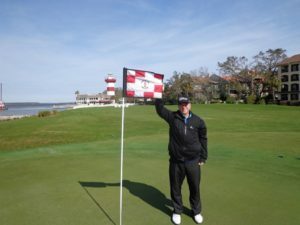 On the 18th green at Harbor Town on Hilton Head. OUCH-GOLF TOOK A DOUBLE HIT yesterday. Can it survive, time will tell. From a local standpoint, 6 inches of the white stuff on April 14th should not happen. Some reports have a few days later in the week in the 70’s. Now that is what we need it, and need it quickly. 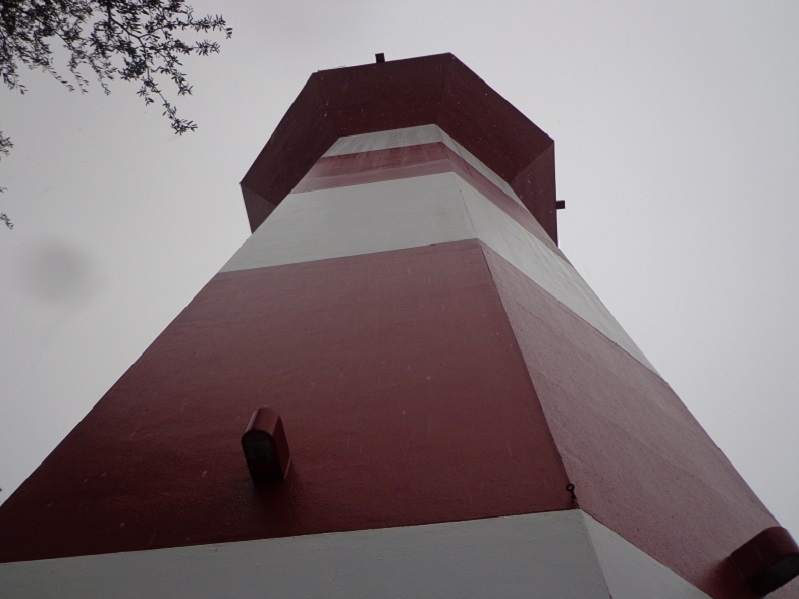 Some spring scrambles, and other golf events had to take a rain check. Or maybe a snow check. Here is hoping there is a quick melt-off. Now the real question, do people even want to play golf. The events of yesterday in Augusta, leaves one wondering, is this Hello-World Part 2. Jeez we hope not. But this is the result you get, when the Back Nine on Sunday, turns into the front nine on Sunday, and the leaders tee off bright and early on a Sunday morning. The string of 13 great Masters ended yesterday with Tiger Woods winning. With Patrick Reed slipping the jacket on Tiger in the Butler Cabin. Somewhere the members of the Augusta National Golf Club are cringing with those two together in the same room for the green jacket ceremony. I thought this was a Masters week where the late-great Dan Jenkins was to be honored, but this was no way to do it. Now, Jenkins is rolling over in his grave. He like many, is not a fan of the new green jacket holder. This was a could-have, should have, would have, day for both Francisco Molinari, and or Tony Finau. Even Brooks Koepka for that matter. How in the world did all three of them go-splash on the par 3, 12th hole. The Las Vegas sportsbook’s must have been full of gamblers in tears. Did I just hear someone shout “fix”. Speaking of Koepka, he should be the main story line come June, as he bids for his third straight U.S. Open. Question now is will he be. You know that other guy won here 19 years ago. 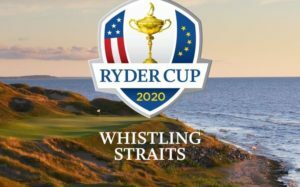 The second story line is that Phil Mickelson who won at Pebble Beach earlier this year, is going for the career Grand Slam, but will it be. Dustin Johnson who should be World #1 again this week, has a great track record at Pebble Beach that includes some “W’s”. Will he get a mention. But before we get to Pebble Beach, there is a PGA Championship to play next month on Bethpage Black. The story should be about Jordan Spieth going for a career grand slam, but will it be. Or did the last U.S Open Champion at Bethpage, Lucas Glover work through the marital woes with his wife. That, grabbed the headlines a few months back. I’m sorry to say, it will be all about that guy who won there in 2002. 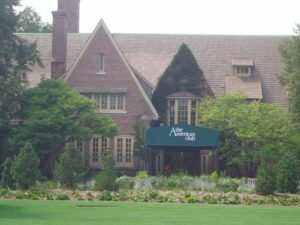 In fact everything that the women’s game received from launch of the Augusta Amateur, is likely lost now. PGA TOUR events will now be filled with players that people in the gallery will say, I never heard of him before. Of course, because nobody will be writing the good stories, and what we need to learn about the up and comers. Yeah it will be back to the days of, is he playing? Oh, I don’t need to watch because I know who is going to win already. Press conferences will be filled with paparazzi media, asking the Masters Champion what his favorite TV show is or does he like Sushi. On the heels of the dumbest ESPN story ever written about golf, how Tiger chews his gum like Payne Stewart did (that should have cost somebody their media credential) . Get ready for more bad Nike commercials too. Then again, the talking head-cover is due for a return. Golf has been down that road before, on how it’s all about one player. It almost killed the sport, are we ready to travel down that low-road again.